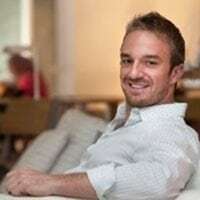 Ethan Appleby is a Design Thinking practitioner and coach. He used Design Thinking to create the last company he founded, Vango, which makes it easy for anyone to select and purchase original art. In the interview he shares the 5 steps of Design Thinking. Ethan applied Design Thinking at a weekend hackathon. With a newly formed (unplanned) 2-person team and a new idea, they conducted 100 face-to-face interviews where their target customer could be found on the first day of the hackathon. Armed with a clear understanding of the problem and 3 clear pain points, they prototyped an app the second day and won the hackathon. In contrast, the other teams at the hackathon started building their apps immediately. They looked better, but did not clearly solve an identified problem as well. It is a great story and worth listening to. Asking “why” several times is an important tool to identify the root cause of a problem. Empathy: learning about the audience you are designing for – interview, observe people, take pictures. Be curious instead of leading the conversation to a conclusion you already formed. Definition: constructing a point of view organized by needs and insights, based on your results from step 1. Ideation: a group brainstorming process to generate ideas using the “yes and…” technique to build upon each others’ ideas and create as many as possible in short sprints. Another tool is to ask “how might we…” focused on specific constraints. A sprint is a few minutes of individual ideation followed by sharing of ideas, then using “yes and” to build on ideas. Additional sprints are conducted on other needs and insights and to further explore specific ideas. Constrain ideation to 3 hours. Prototype: building a representation of one of your ideas to show others. When you build something you discover more about the problem. Keep it simple – playdough, clay, tape, etc. Testing: Show prototype to potential users and customers to get their feedback. The goal is to continue learning about the customers’ core problem and solutions that provide them value. The steps are repeated as needed, such as Ideation, Prototype, and Testing until the right product is produced, providing value to the customer and solving their problem. An introduction to Design Thinking using an exercise to redesign the gift-giving experience. A facilitator’s guide and participant’s worksheet is included. Ethan’s notes when he conducted the redesign of the gift-giving experience. A facilitator’s guide and participant’s guide to conducting a 1-day Design Thinking exercise and explanation of how to conduct the 5 steps of Design Thinking. Download these Design Thinking resources. IDEO Shopping Cart Project Video produced by NightLine – full video or short version. A good book to get started with Design Thinking is “Creative Confidence: Unleashing the Creative Potential Within Us All” by Tom Kelley and David Kelley. Vango, the company Ethan founded to help you find and visualize original art on your wall without any price guessing.